Hey everyone. I'm going to be very light on with words over the next two weeks as I'm away on vacation. We left yesterday for the drive up from Canberra to the Gold Coast in Queensland (about a 13 hour drive). We are currently spending the night in Coffs Harbour. We went to Dorrigo National Park today and I just have to say, Australia is such a beautiful place. Also, you guys should have seen all the koala crossings along the freeway. They have great big poles on each side and a wire crossing that joins them together. I'd love to know if the koalas actually use those crossings, but there were heaps of them, so I assumed they must. If I see some more I'll try take a photo. Quickly to these nails I wore about a week ago. 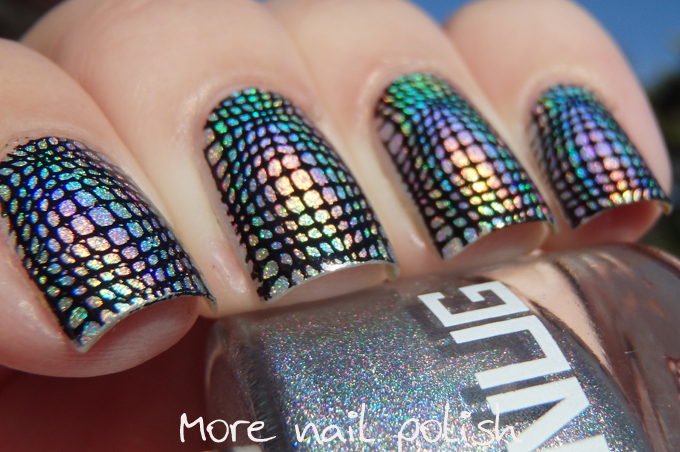 After pulling out all my holos again for the comparison last week, I ended up putting on FNUG Psychedelic again, but this time stamping it with a psychedelic design. The stamping image is from a MJ plate I think (but of course I can't check cause I'm not at home). I can update this post in a few weeks with the details of the plate. I hope you enjoy this post, cause it will probably be a few days before I'm back. Oh my goodness! 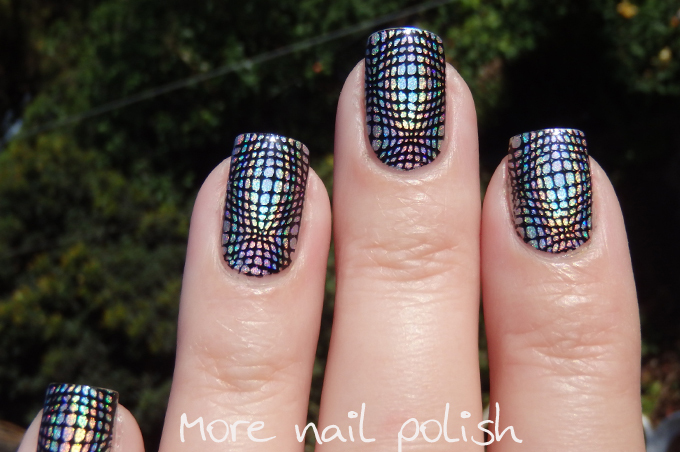 I am totally in lust with this mani! I don't think I have ever felt this way about nails before, haha. GOOD JOB :D Enjoy your holidays. oooo can't stop staring ! This is seriously pretty! 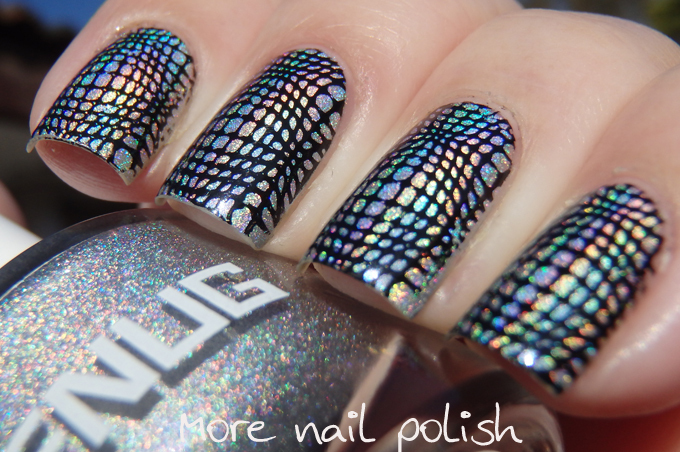 The stamp seems to enhance the holo even more! I love both polish and the psych effect of the stamping! Gorgeous! Beautiful! 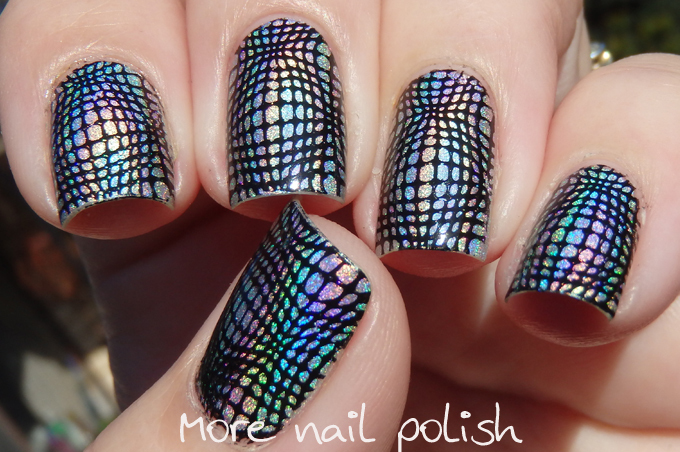 Love that polish and the stamping looks perfect!